The Ghana Police Service is fast becoming one of the most controversial security agencies in the country, following some ‘professional misjudgments’ and untruths it has entangled itself in over the years. Though instituted to handle internal security and protect the citizenry, the actions of some officers have so dented the image of the service that millions of Ghanaians today are demanding an overhaul of the service; which for some reasons may be understandable. For instance, following a shooting incident at Manso-Nkwanta on July 17, 2018 which resulted in the death of seven persons, the Ashanti Regional Police Commander, DCOP Kwasi Duku, held a press conference in which he said the victims were suspected armed robbers who engaged the police in a shootout. He displayed guns and caches of ammunition allegedly retrieved from the victims, and insisted the police only shot back in self-defense. But a five-member fact-finding committee set up to look into the matter was emphatic that the police could not prove that the deceased persons engaged them in a gunfire exchange, and recommended, among others, the interdiction of all twenty-one officers involved in the incident. It is early days yet to make conclusive statements here, more so when some of the officers on the interdiction list have objected to the Report, describing the committee as ‘armed chaired’ because it neither visited the crime scene nor interrogated the personnel involved. But since history is a compass that guides mankind into the future, it is not inappropriate to rewind the clock of time to replay another similar incident. On Friday, 21st April, 2006, four persons travelling in a taxi cab were shot dead by police from the Dansoman District Station, claiming the victims were armed robbers. It later turned out that Lydia Awo Opoku, 41, Ataa Boatemaa, 39; Mallam Musah, 30, and Kwadwo Awuti, alias Okumkom, the taxi driver, 28, were innocent, unarmed passengers. The Police PRO at the time, then ASP Akwasi Ofori, justified the action of the police, despite media reports that the guns, machete and ammunition allegedly found in the Tico taxi cab were actually ‘exhibits’ deliberately dumped in the car by the police for the purpose of a press conference. And most heartless of all was a disclosure that, for nearly an hour after the shooting, the police failed to send Awo, who was still alive, to the hospital; and when her mother, Mrs. Opoku, got to the scene and offered to take her to the hospital, officers at the spot threatened to shoot her if she dared touch her dying daughter. Awo bled profusely and died hours later in the taxi. It also turned out at the Justice J.C. Amonoo Monney Committee that the officer that killed the four passengers was not part of a patrol team as alleged, but was supposed to be guiding a bank several miles away from the crime scene. The world, including Commonwealth Human Rights Initiative (CHRI), condemned the act. The police later apologized to their families, and paid a total sum of GH¢12,000 (¢120m old cedis) as funeral expenses for the four victims. In our view, if at all there were any regrettable incidents that Mr. Patrick Acheampong and Mr. David Asante Apeatu wished had never happened under their watch as IGPs, then they were the Dansoman and Manso-Nkwanta incidents. 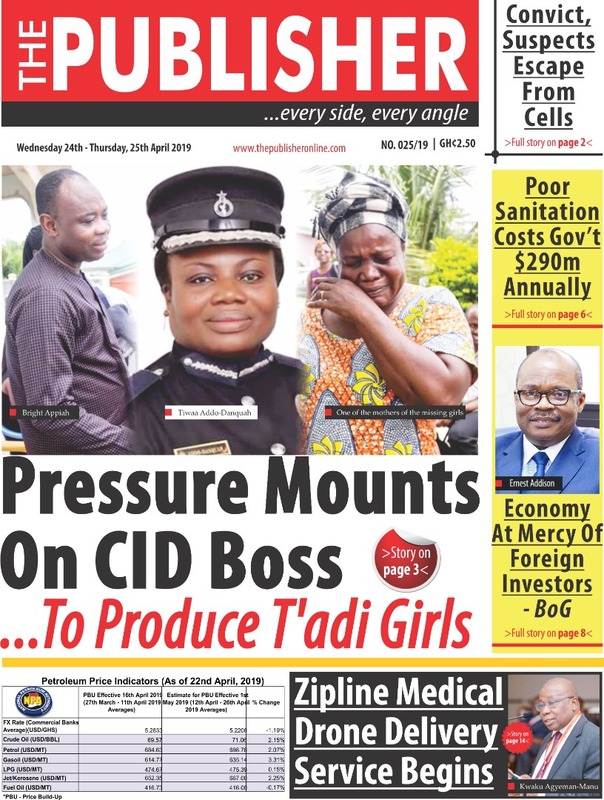 THE PUBLISHER thinks it is high time the Ghana Police Service took steps to redeem its sinking image. For its penchant to brutalize suspects, people gave it the name ‘Agyei Koti’, and for constantly collecting bribes, the public named them ‘Abban’. We only hope they don’t get another name….for the lies and cover-ups.